This a general hatha Yogasāna class. This is held on a US Air Force base so you will need a military ID to attend. This sumptuous class will take you deeper than you've ever gone into yoga postures. This class is truly a treat for mind, body and soul with 3-5 minute holds in postures to restore and rejuvenate. 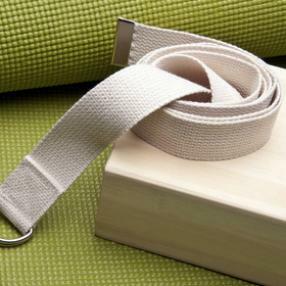 For those days when you can't decide if you need a warming Vinyasa or a slower, gentle stretching. This class will offer 30 minutes of warming and then 30 minutes of a deeper intensive yet gentle cooling. 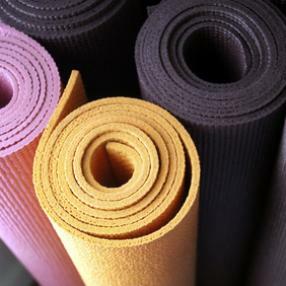 A perfect marriage of two schools of yoga. 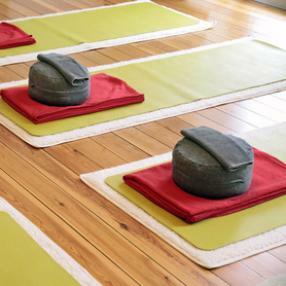 Shed the stress of your week with this gentle and mindful class. Expect to drop deeply into a soothing, nourishing practice that will include techniques to melt tension and reset your system. Class may include some or all of the following, depending on what is needed in the moment: slow flow posture practice, meditation, pranayama (breath work), restorative yoga, yin yoga, discussion, or contemplation. Appropriate for all levels. Join in for a luscious end to your long work week! First class is free for Denver area residents. Why compromise? Enjoy the perfect hybrid that yoga can offer! Unwind + Wine: Experience a relaxing sequence of breath-infused stretch flows, and moderately-paced asana practice meant to release tension, untangle knots and restore energy! A delightful way to melt away stress  After class you are welcome to join your fellow yogis in community to share a glass of wine and nibble in scrumptious and protein filled snacks.